The Delta range of Roller Shutter doors offers a top-quality solution when it comes to managing an opening, across a wide range of sectors. The Delta Secure 1000 is a competitively priced, insulated HIGH SPEED roller shutter door that is incredibly versatile. 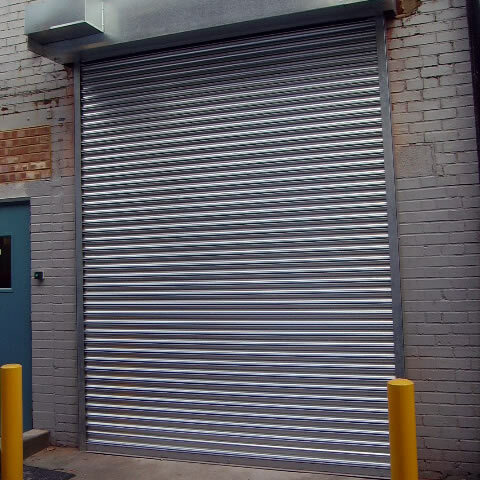 Like all roller shutter doors, a HIGH SPEED ROLLER DOOR consists of many individual steel or aluminium horizontal slats. They’re operated by rolling the slats around a barrel, directly up or down with the help of either a spring or electric motor, or both. A HIGH SPEED ROLLER SHUTTER DOOR is particularly suited to busy doorways where temperature control and security is of vital importance. This could include food and drink facilities, retail, shops, financial outlets (betting, banking, money transfer operations), sports centres and educational facilities. The opening speed of the Delta Secure 1000 is up to 650mm/second and the curtains can be supplied in a solid, perforated or a punched format. They are available in a standard galvanised, powder coated or plastisol finish. All of our DELTA SECURE products are supplied with a two-year parts and labour warranty, as standard, providing the equipment is maintained in accordance with the manufacturer’s recommendations and not modified in any way. To help protect your investment, full maintenance packages are available. The door must be serviced at least once a year. ENERCO recommends that a service be done six months after installation. Full details of the servicing requirements are available.